At Atlas Chiropractic Hong Kong, we place a high value on education. We pride ourselves on sharing information with those we serve through various health workshops. Our goal is to help our patients and community quickly restore their health and live a better quality of life. We help them accomplish this aim through natural means, without having to resort to medication or surgical intervention. These talks are held at the studio on a weekly basis to help new patients get the most out of their care. Our studio members appreciate that a little bit of knowledge goes a long way; they achieve better results, faster. These free talks can be booked through our studio to assist employers in providing a healthy and less-stressed work environment. We find that it’s convenient for employees to learn in a relaxed atmosphere while enjoying lunch. 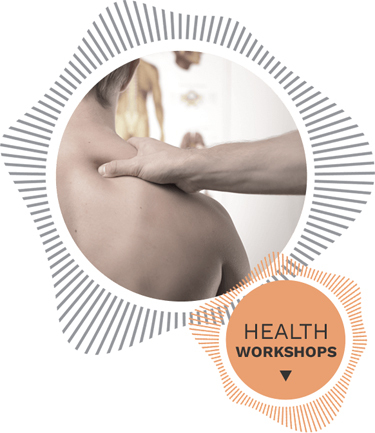 Key topics are the negative effects of stress, optimal posture and the achievement of overall health and well-being. Our studio features a family environment that’s warm, friendly and inviting. You’ll always find Dr Ben (Chiropractor) ready and willing to give you his full attention. We feature late hours and same-day appointments. Contact us today!